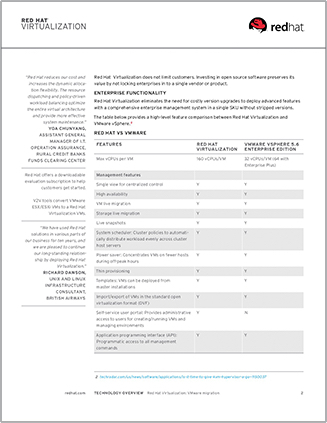 Proprietary virtualization software thrives on high upgrade costs and charging more for access to advanced features. 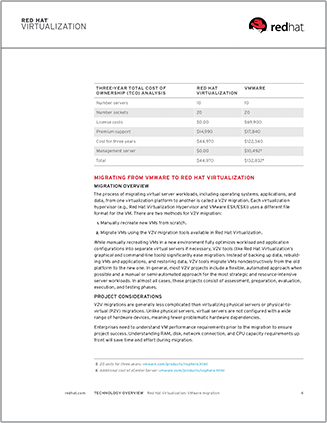 But Red Hat® Virtualization frees you from that kind of vendor lock-in—and provides greater cost efficiencies, less maintenance, and military-grade security. 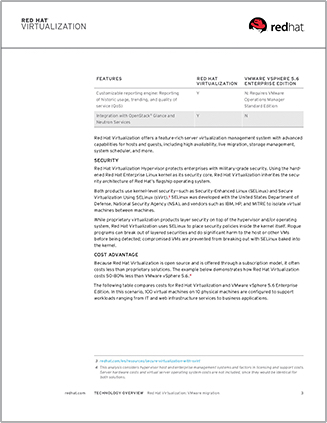 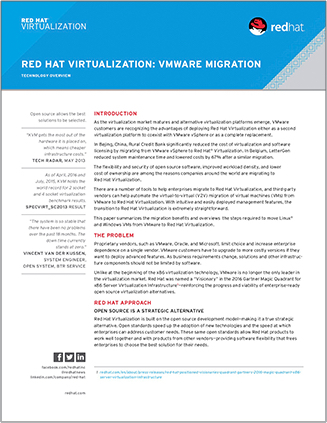 Read the technology overview to discover more benefits of Red Hat virtualization solutions.